"Well, here it is, commercially available for the first time and a double joy: first, as a truly inspired rendering of the symphony and, secondly, as a simply incandescent performance in its own right....The recording, too, is superb, beautifully clear, finely proportioned, and heavy with that indefinable thing I can only rather feebly call 'atmosphere'....In sum, a priceless document that should be bought, heard and have honours heaped upon it." 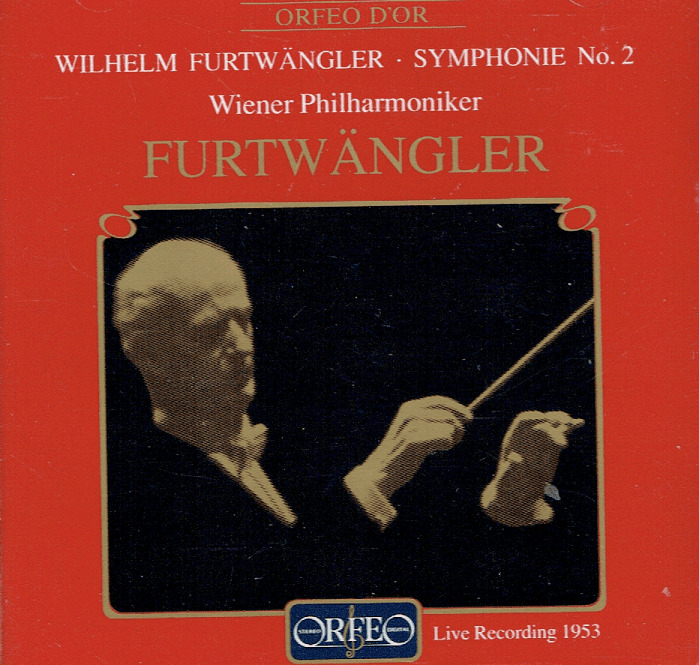 “Wilhelm Furtwängler, like his contemporaries Otto Klemperer and Victor de Sabata, considered himself a composer first - and a conductor second. Like both, he is best remembered for his work on the podium, although Furtwängler tried hard to meld the two. 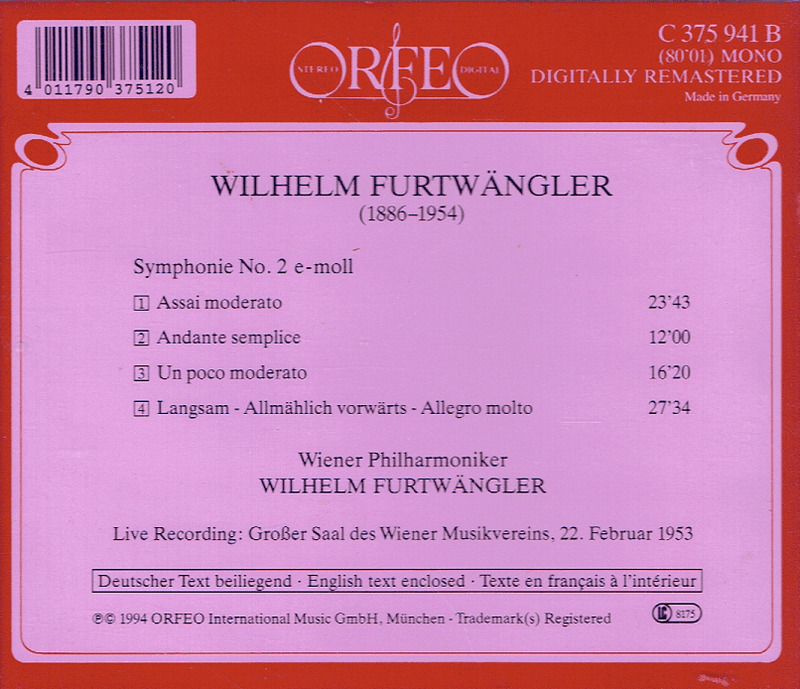 The length of the Symphony #2 is reflective of its Brucknerian dimensions, and the work concludes with a noble Adagio spanning half an hour, recalling both the Eighth and Ninth symphonies of Bruckner in its formality….Completed partly in exile, and partly under the cloud of a war crimes tribunal, which subsequently exonerated Furtwängler of complicity with the Nazis, the work does little to suggest the torment of a composer living through one of the most difficult periods of his life. There are moments in a work which is largely a personal spiritual testimony."